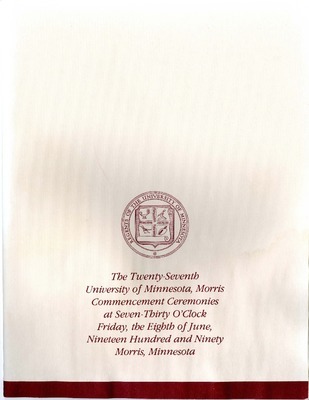 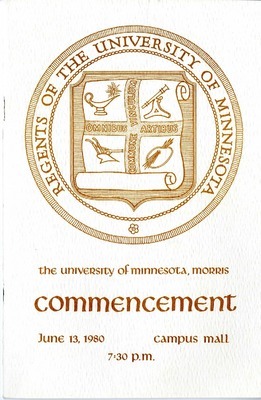 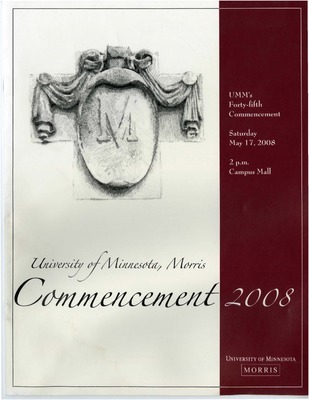 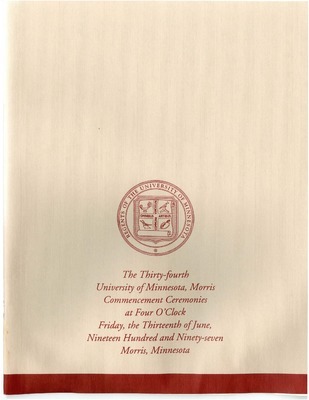 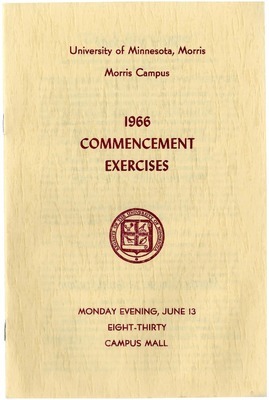 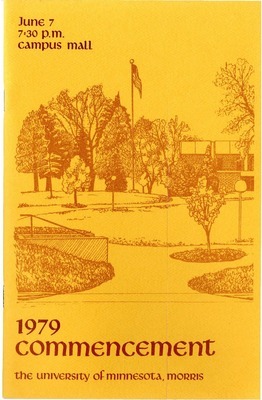 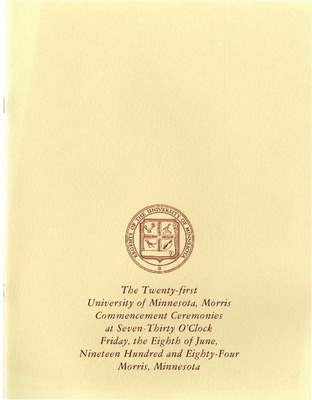 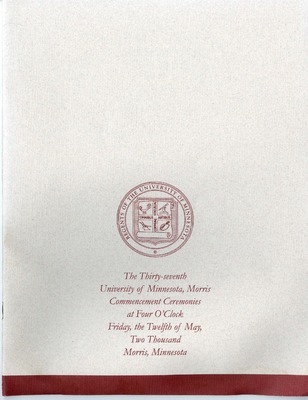 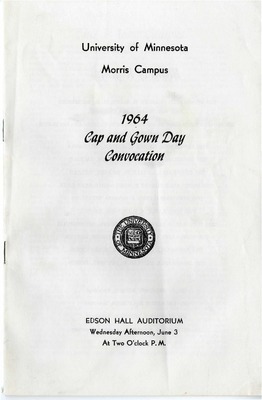 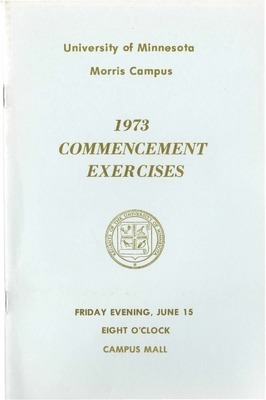 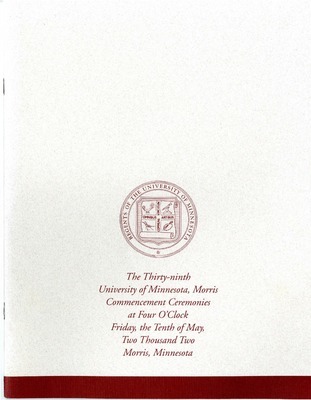 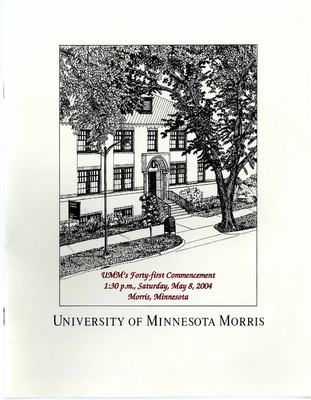 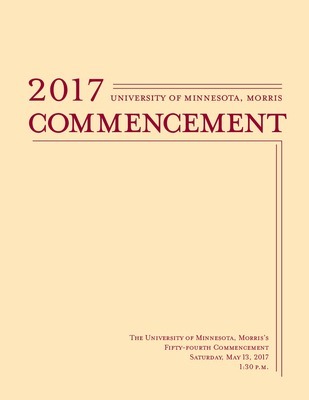 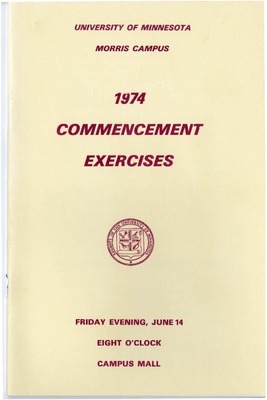 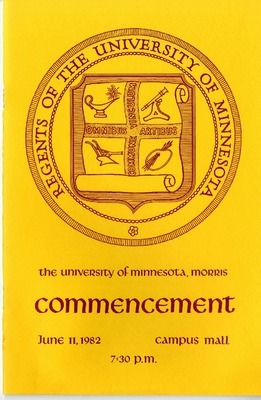 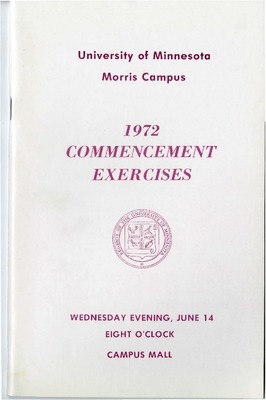 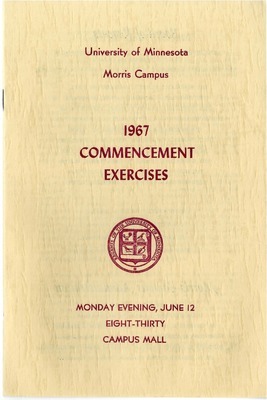 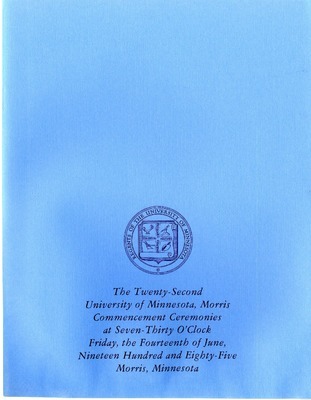 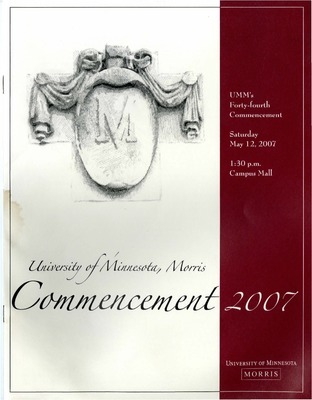 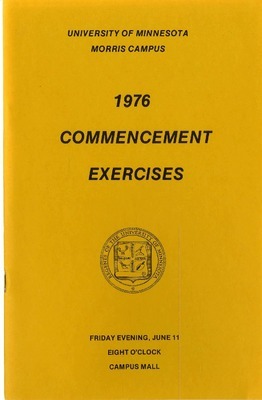 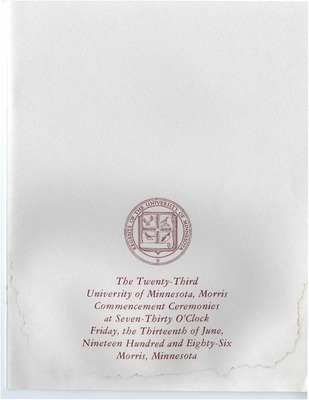 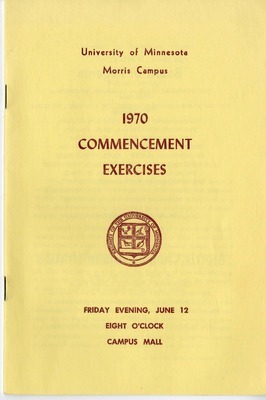 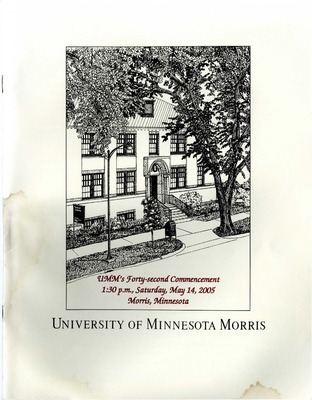 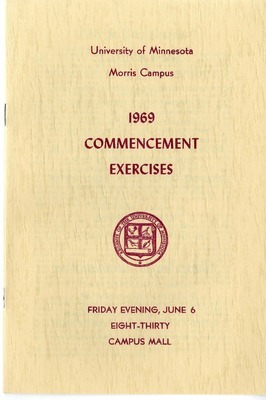 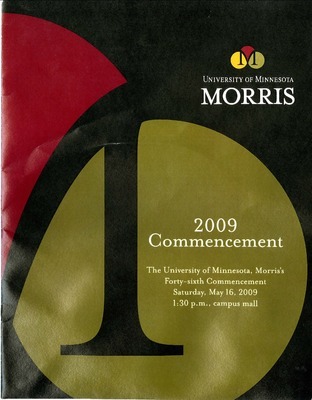 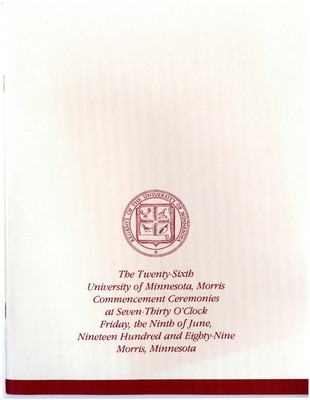 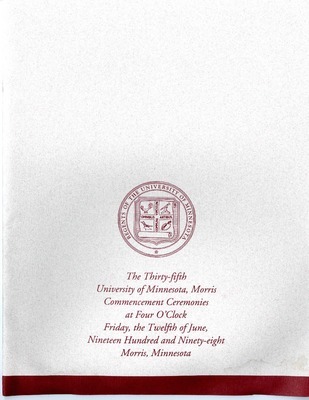 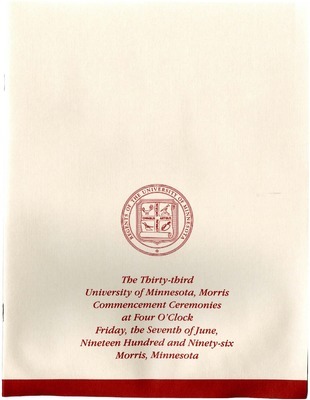 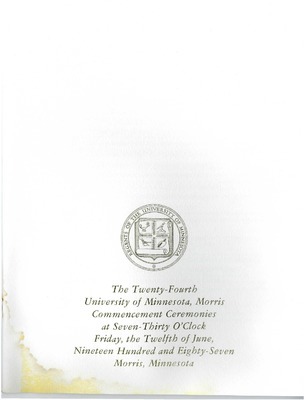 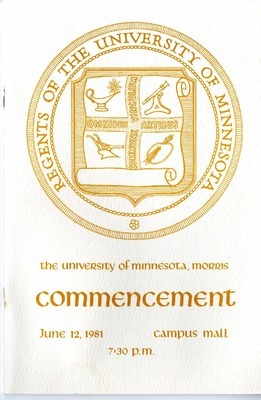 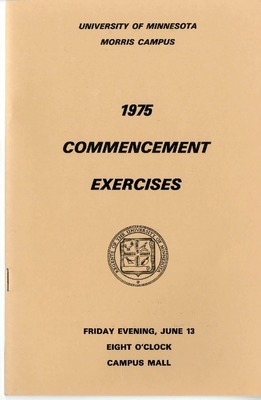 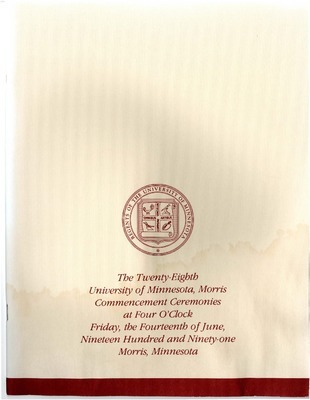 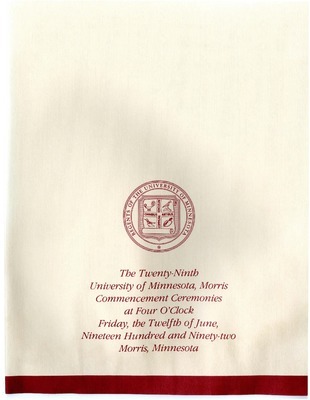 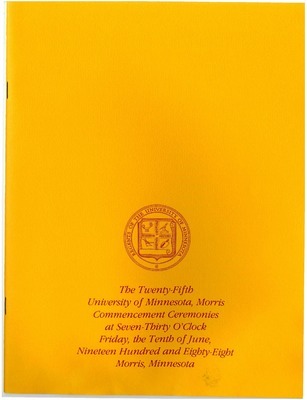 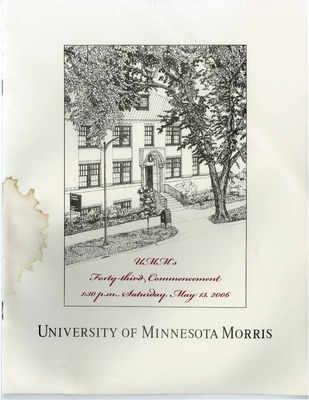 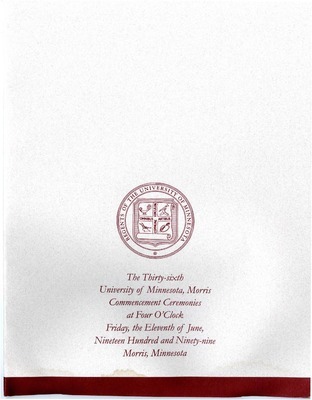 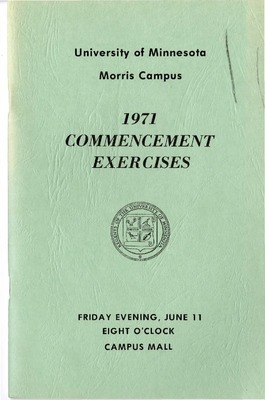 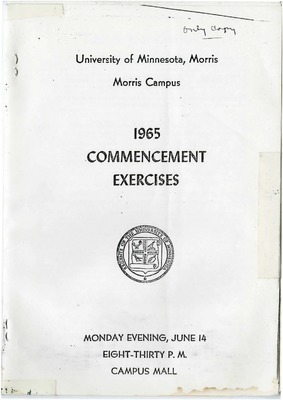 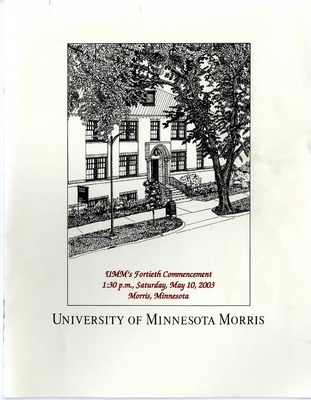 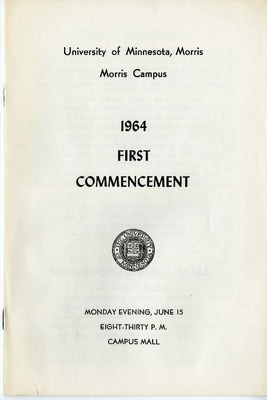 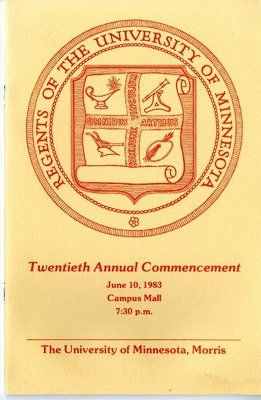 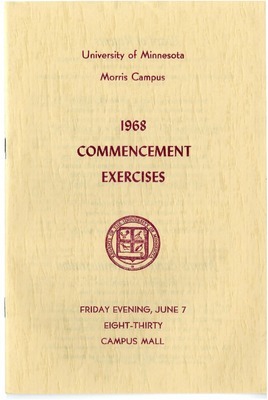 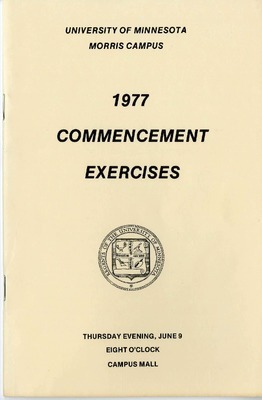 This collection contains the programs from the University of Minnesota, Morris commencement ceremony back to the first commencement ceremony in 1964. 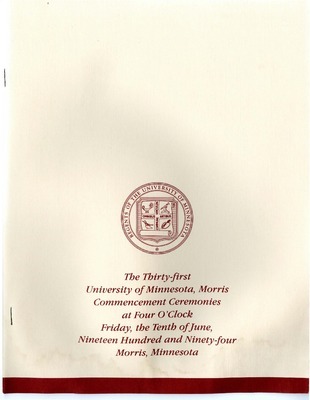 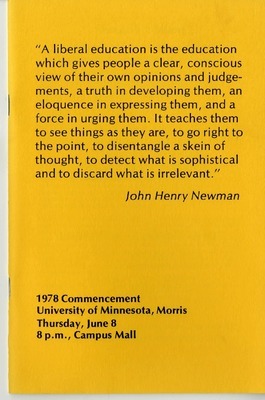 The University of Minnesota, Morris Commencement June 11, 1982 Campus Mall 7:30 p.m. 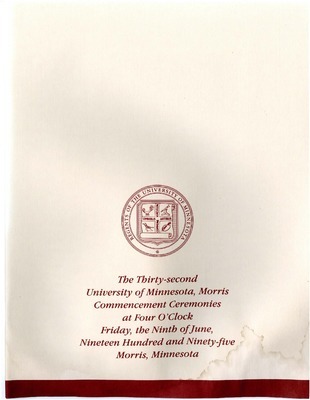 The University of Minnesota, Morris Commencement June 12, 1981 Campus Mall 7:30 p.m. 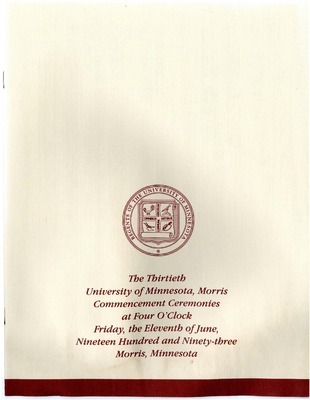 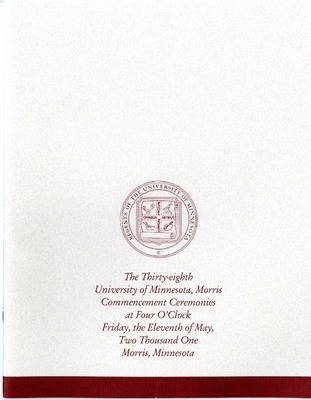 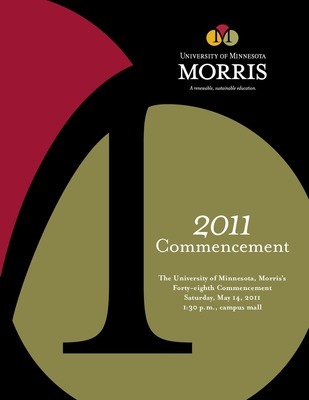 The University of Minnesota, Morris Commencement June 13, 1980 Campus Mall 7:30 p.m.